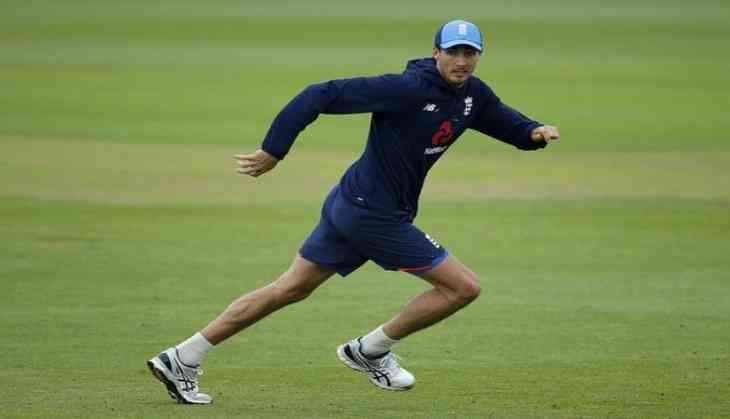 England have retained Steven Finn in their 13-man squad for the fourth and final Test against South Africa after injured Mark Wood was ruled out of the Old Trafford match. The Middlesex fast bowler, who has played 36 Tests, was included as late cover for Wood on the eve of The Oval clash, after the later was sidelined with a heel injury. However, Finn but did not make it into the Playing XI. England are currently 2-1 up in the Test Series after debutants Toby Roland-Jones, who took eight wickets, and Tom Westley, whose composed 59 in the second innings drew praise, helped England to a thumping 239-run win at the Kia Oval. Hampshire left-arm spinner Liam Dawson, who did not play at the third Test after featuring in the first two games of this series, was also retained in the squad. England squad: Alastair Cook, Keaton Jennings, Tom Westley, Joe Root (capt), Dawid Malan, Ben Stokes, Jonny Bairstow, Moeen Ali, Stuart Broad, Toby Roland-Jones, James Anderson, Steven Finn, Liam Dawson.